Barbecue season is right around the corner. Keeping the grill clean and shiny after each use usually requires a metal wire brush and lots of elbow grease. The team at The Great Scrape wanted to change how we clean our BBQ grills; that’s why they created their line of all-natural wood BBQ cleaning tools. 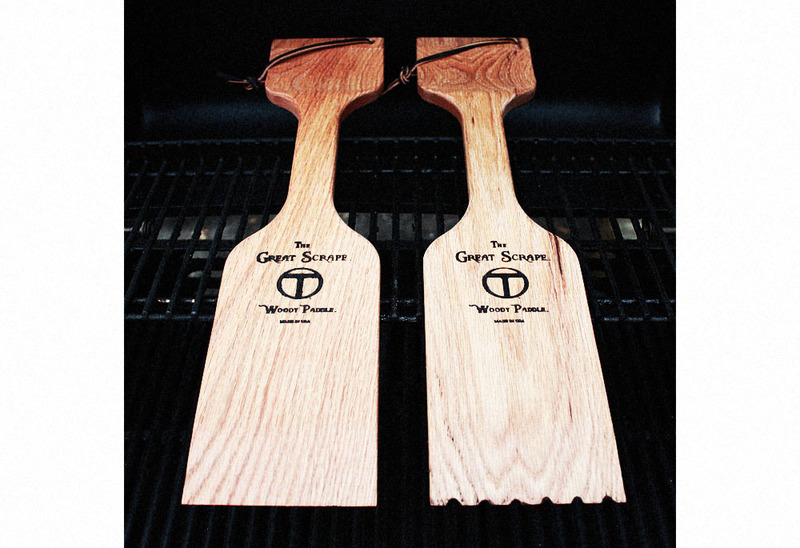 Made from solid hardwood – red oak and/or beech – and coated with non-toxic, food safe mineral oil, the Woody Paddle (one of their four products) is easier on the grill than a metal wire brush. One pass over each section of the grill when it’s warm removes everything, without leaving additional debris behind on the cooking surface. It doesn’t leave scratches or mar the grill’s finish, which means it’ll be cleaner and less likely to trap bacteria. Each of the wood tools have a thin blade that will wear away into grooves that match your grill. The more you use it, the deeper the grooves will get (it takes a few uses to get the grooves going though). When you reach the thicker part of the blade, the grooves will stop growing quite so fast. The Woody Paddle isn’t light, but it isn’t too heavy either. If you have a large grill, your arms may get tired while cleaning. Think of it as a good work out. It’s design fit my smaller hands comfortably. All of The Great Scrape’s tools are designed to last for years. I’ve only had mine for a few months, so I can’t comment on the lifespan as of yet. I’m just happy knowing that using this will give my grill a longer life. A downside to the Woody Paddle is that it will get caught on grills that have cross bars. It is a bit bulky for the more finicky parts of the grill (the sides or the warming rack).